. . . you take selfies with Martin Luther. Luther bust in the library. 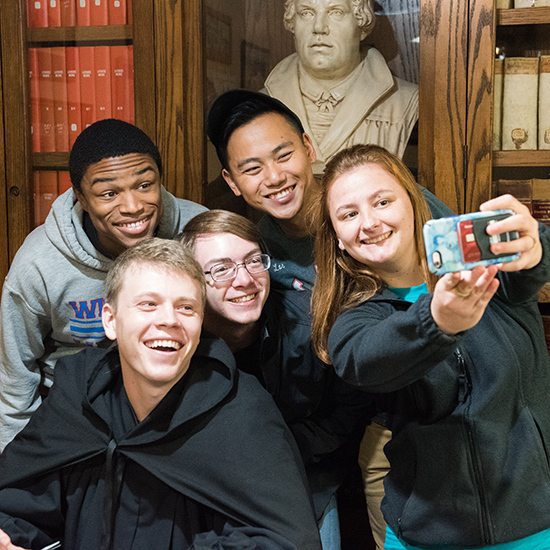 https://mlc-wels.edu/admissions/wp-content/uploads/sites/23/2018/08/p23-24-25-Hoco-Selfies-1.jpg 550 550 Leah Matzke https://mlc-wels.edu/wp-content/themes/mlc/images/mlc-logo.png Leah Matzke2018-08-28 19:39:032018-08-28 20:56:54. . . you take selfies with Martin Luther.
. . . you spell the Hebrew word shofar with balloons. . . . you preach your first chapel sermon.